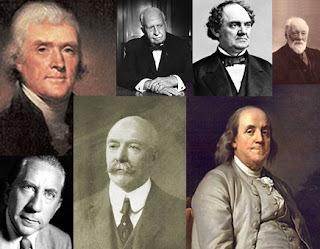 One early view, generally known as the Great Man Theory posits that great men shape history through their leadership. 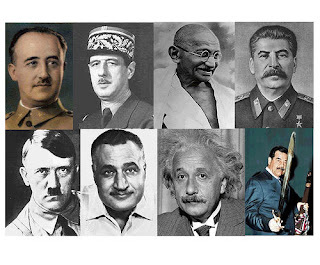 These great men would be leaders in any situation because they possess the necessary traits. The development of psychological tests added impetus to the Great Man notion because traits could be objectively measured, at least in theory. In reality, this approach suffered considerably under scrutiny. According to Carron (1980), the only trait that holds up to inspection is intelligence. Bass (1997) cites twenty-three studies supportive of the position that leaders are intellectually brighter than so-called subordinates. Bass (1997) also cites only five references to the contrary, but also mentions five more indicating that large disparities in the intelligence of leaders and others can actually militate against successful leadership. Even though intelligence does appear to be a consistent trait of leaders, comprehensive literature reviews (e.g. Campbell, Dunnette, Lawler & Weick, 1970; Mann, 1959) show only modest correlations between intelligence and leadership, relationships sufficiently modest so as to lead Carron (1980) to conclude that less than 10 percent of task performance can be explained by the leader’s intellectual ability. Cattell (1946) also pointed out that intelligence taken separately is still a multifaceted trait made up of many other characteristics, such as wisdom, maturity and perseverance, to name but a few (Hughes et al., 2008).